We talk to Brisbane Lions Women’s CEO Breeanna Brock and hear from past winners of the Football Woman of the Year Award, Bec Goddard, Debbie Lee, Jan Cooper and Daisy Pearce. Our new episode is up. We’re thrilled to be joined by Professor Sarah Joseph, Director of the Castan Centre for Human Rights Law, Monash University and Bulldogs AFLW premiership star & obstetrician Dr Tiarna Ernst. We take an in-depth look at the big talking point of the week: when things go wrong in the commentary box. NB: there’s some sensitive content this week. New episode available now via the ABC Listen App or your favourite podcast platform. Listen on iTunes. One of Sarah Joseph’s favourite things to do is to take photos in the style of U2 album covers. Of course we said “hell yeahhhhh” and so did Tiarna Ernst. We give you the cover for our new album “11:20”. 🕰📷 We were a bit more serious on the pod. One of the things we discussed this week is the tension and discomfort that often accompanies attempts to call out inappropriate behaviour and action. Kate raised the current debate about 'civility' and reminded us that often calls for civility are really an attempt to shut down discussion and to slow down change. She reminded us of Martin Luther King's letter from Birmingham Jail in which he criticised those who prefer "a negative peace which is the absence of tension to a positive peace which is the presence of justice." We talk about taking risks, taking a knee and the Sir Doug Nicholls Round. Robert Young chats with Emma about designing the Tiger’s Indigenous jumper. And what on earth does Tina Fey have to do with football? Read here about the SBS article on being a good Indigenous ally. We spoke about Malcolm Gladwell's podcast and the latest episode, Burden of Proof. More here about the US and NFL kneeling 'bans'. We look at AFLW expansion, women in sport, and vulnerability. Special guests Sam Cooney and Kirby Fenwick. We spoke about vulnerability. Listen to this amazing TED talk by Brené Brown here. Read this article about vulnerability became sport's winning weapon by Konrad Marshall. Coaching, umpiring and learning to listen. We talk to Angie Greene from Stand Up Events and Dr Anita Heiss - author, advocate and Lifetime Ambassador of The Indigenous Literacy Foundation. For More information on about Move In May and Stand Up Events: CGU MOVE IN MAY. Donate to the Indigenous Literacy Foundation. More on the event: Kick On for Literacy - Indigenous Literacy fundraiser. Mea Culpa corner, power and privilege, and gender pathways with special guest Sanctumer, Australia Diamonds coach, Lisa Alexander. Danielle Warby has this up on her blog: Welcome trans, gender diverse and intersex members to your sports club that is worth reading. Jay Asher (Thirteen Reasons Why) and James Dashner (Maze Runner) and claims against them. Nobel Prize of Literature canceled. We look at fan behaviour, quality coaching and the idea of respect and responsibility. Special guest Carolyn Worth from South Eastern Centre Against Sexual Assault. Here's the AFL's Respect and Responsibility Policy we mentioned. We look at the bump, the boot, and the seagull. Special guest Dr Deb Waterhouse-Watson talking media, sexual violence and sport. We spoke about Adam Goodes and Caroline Wilson's article from The Age. 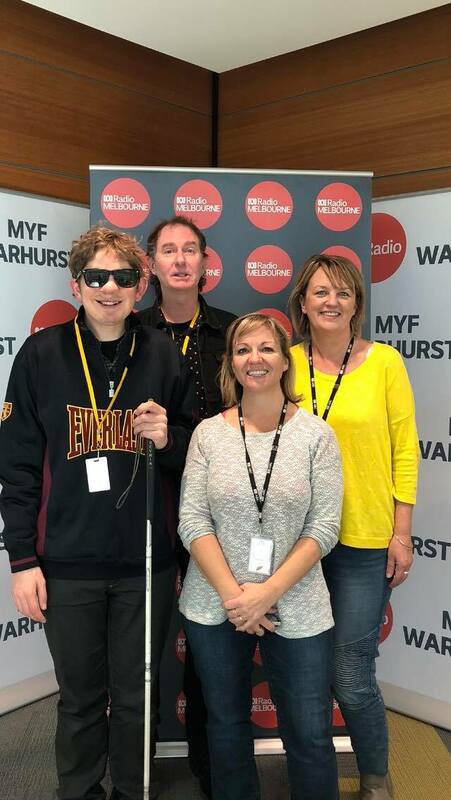 We spoke about the chief executive of Basketball Victoria being suspended from attending games for eight weeks over a dispute with a referee at an under 12s match his daughter was playing in. And Kate mentioned the episode of Revisionist History called The Lady Vanishes. We look at how the AFLW lost the inaugural Premiership coach, we talk injuries, comebacks and... Is Canada in the Commonwealth? We talk biting, gambling, statistics and "The Melissa Etheridge Experience", chatting with the rockstar herself. 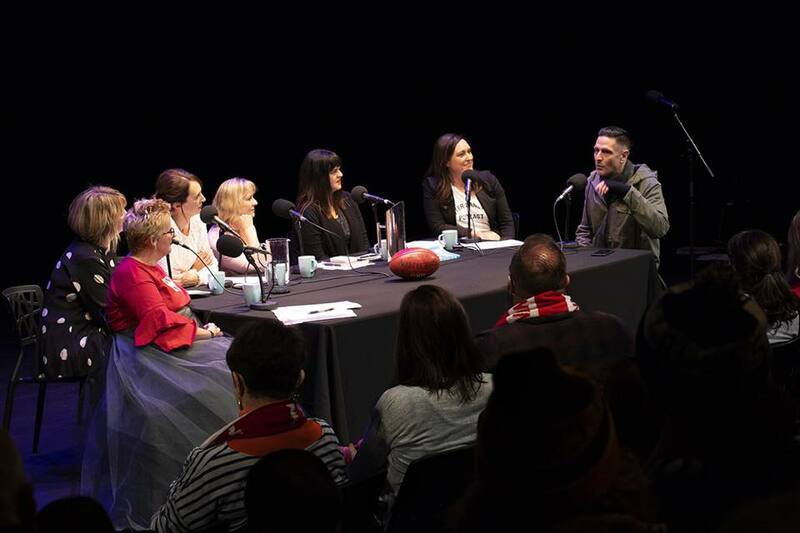 We talk to her about her newfound love of AFL & sport’s power to connect, plus we chat to Debbie Lee & Agela Pippos about the #AFLW end of season party to end all parties. You can read Nicole Hayes' Guardian article here. Kate mentioned the AFL Annual Report. We talk old fashioned footy, maintaining perspective, and the VFLW memo, with guest Sanctumer Shelley Ware. Special guest, VFLW coach Patrick Hill. Season wrap of the AFLW and where to next. Katie’s in court, and (some very bad) singing. Time changes, game changers and ins and outs. Special guests Hester and Ben Brown! Entry to the game is free, with the match to begin at 12.35pm AEDT. Gates open at 11.00am AEDT. Priority access will be given to AFLW Dogs and Lions members before the general public will be allowed in from 11.30am AEDT. Missy Higgins will be singing! This week: Injuries: both structural and maths related. And why one size fits all football is not the answer. Featuring an interview with Bridie O’Donnell, former cycling champion and Head, Office for Women in Sport & Recreation #OWSR. We mentioned Wellbeing not Winning who focus on remote Indigenous identity and organised sport. The report by the House Standing Committee on Aboriginal and Torres Strait Islander Affairs: On Monday 24 June 2013, the House of Representatives Standing Committee on Aboriginal and Torres Strait Islander Affairs tabled its report on the inquiry into the contribution of sport to Indigenous wellbeing and mentoring entitled Sport - More Than Just A Game. More info on the Inquiry into matters relating to the establishment of an Australian Football League team for Tasmania here. From Change.org: AFL threatens ASADA split if key documents in Essendon drugs saga are made public. From Foxsports: Hawthorn president Jeff Kennett blasts AFL’s push into China, India. Respect, responsibility, remorse, and redemption. Martin Flanagan talks about his new book, A Wink From the Universe and we celebrate our third year podiversary! Records, results and revenue. And a look at grassroots footy. For our new episode, we headed down to the headquarters of the @footyefl to chat to Phil Murton @philmurton, CEO of the Eastern Football League about what’s happening in grassroots footy. You can get the episode now, via the ABC Listen app, or through your favourite podcast platform. Or listen here. Enjoy.